The embattled executive director of the San Diego Association of Governments announced Tuesday that he plans to retire by the end of the year. Gary Gallegos has overseen SANDAG for 16 years. He came under fire in recent months over revelations that SANDAG staff overstated revenue projections for a proposed tax increase that was rejected by voters last fall. “While retirement has been on my mind for some time, my goal during the last few months has been to help SANDAG and our incredibly talented team through the process of an independent examination of our forecasting efforts, as well as keep the organization moving forward on major initiatives such as the construction of the MidCoast Trolley extension and South Bay Rapid, along with planning for the Otay Mesa East Port of Entry,” Gallegos said. 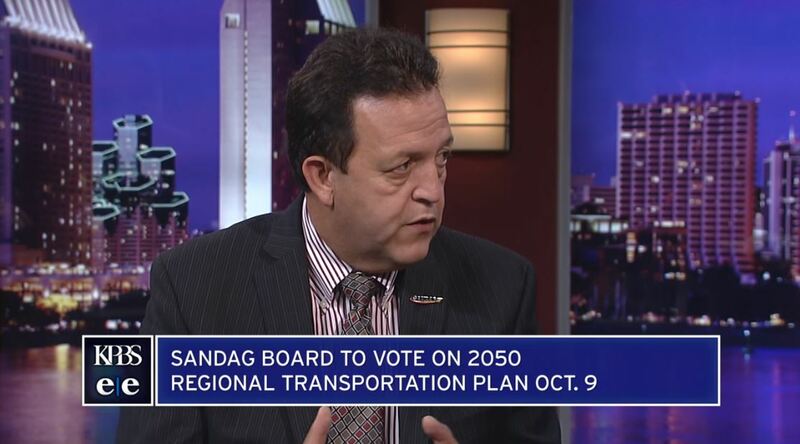 “Those goals have been achieved,” he said, pointing to a recently released report that found no intentional effort by SANDAG to mislead the public with its revenue forecasts for the Measure A tax-increase measure. “The board has implemented a plan to address issues related to the forecast, and the board will consider additional recommendations from the independent examination,” he said. At a public meeting on Friday, the SANDAG board was given an overview of the independent review, and hear sometimes-vitriolic comments from critics, some of whom called for Gallegos’ resignation. “While he will be sorely missed, I must honor his decision,” Roberts said. In 2004, Gallegos led the effort to extend TransNet, a sales tax used for transportation that voters approved in 2004. According to SANDAG, TransNet has invested $3 billion and attracted $10 billion in state and federal matching funds. Prior to joining SANDAG, Gallegos was director of Caltrans District 11.